Slaves forced to work for no pay for years at a time under threat of extreme violence are being used in Asia in the production of seafoodsold by major US, British and other European retailers, the Guardian can reveal. 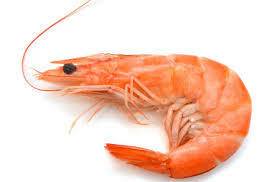 A six-month investigation has established that large numbers of men bought and sold like animals and held against their will on fishing boats off Thailand are integral to the production of prawns (commonly called shrimp in the US) sold in leading supermarkets around the world, including the top four global retailers: Walmart, Carrefour, Costco andTesco. Fifteen migrant workers from Burma and Cambodia also told how they had been enslaved. They said they had paid brokers to help them find work in Thailand in factories or on building sites. But they had been sold instead to boat captains, sometimes for as little as £250. Another trafficking victim said he had seen as many as 20 fellow slaves killed in front of him, one of whom was tied, limb by limb, to the bows of four boats and pulled apart at sea. CP Foods – a company with an annual turnover of $33bn (£20bn) that brands itself as “the kitchen of the world” – sells its own-brand prawn feed to other farms, and supplies international supermarkets, as well as food manufacturers and food retailers, with frozen or cooked prawns and ready-made meals. It also sells raw prawn materials for food distributors. In addition to Walmart, Carrefour, Costco and Tesco, the Guardian has identified Aldi, Morrisons, the Co-operative and Iceland as customers of CP Foods. They all sell frozen or cooked prawns, or ready meals such as prawn stir fry, supplied by CP Foods and its subsidiaries. CP Foods admits that slave labour is part of its supply chain. The supply chain works in this way: Slave ships plying international waters off Thailand scoop up huge quantities of “trash fish”, infant or inedible fish. The Guardian traced this fish on landing to factories where it is ground down into fishmeal for onward sale to CP Foods. The company uses this fishmeal to feed its farmed prawns, which it then ships to international customers. The alarm over slavery in the Thai fishing industry has been sounded before by non-governmental organisations and in UN reports. But now, for the first time, the Guardian has established how the pieces of the long, complex supply chains connect slavery to leading producers and retailers. “If you buy prawns or shrimp from Thailand, you will be buying the produce of slave labour,” said Aidan McQuade, director of Anti-Slavery International.